TW: This book deals with depression, anxiety, and life after attempted suicide. This was nothing like what I was expecting. 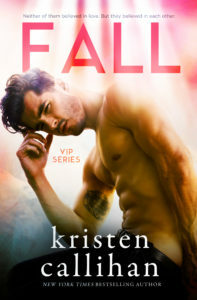 Fall is the third installment in the VIP series and the first book of the series that I have read. Having read Callihan’s other series I was intrigued to read something out of the sports romance realm from her, and what I got in return is a story that struck a chord with me and has quickly become my favorite book from her thus far. Fall is a moving and poignant friends to lovers slow burn that tells the story of John, a famous rock star with a very public past, and Stella, a girl who knows everyone and no one knows her. After a fateful and comedic showdown for the last mint ice cream during a blizzard, the two thought they would never see each other again. However, fate has other plans and after accepting a pet sitting job, Stella is shocked to find that her new neighbor is none other than John–the guy she stole the ice cream from. As proximity and mutual attraction brings them together, both John and Stella take a journey of rediscovering who they truly are and how it’s okay to let people in every once in a while. As a person who struggles with depression, anxiety, and has attempted suicide previously, I was surprised and albeit very wary when I read that our Hero has dealt with these same issues and how they are very present throughout the novel. Typically in romance books (at least the ones that I have read) mental health topics are usually glossed over or not given the proper representation that they deserve–that they need. So in all honesty, when I read the authors note and found out that this book features mental health–I instantly wanted to not read it–solely because I couldn’t take another misrepresentation of something that has defined my past and my present in a big way. However, Callihan did state that she too has struggled with the same issues and wanted to show that not all who struggle with depression are all “gloom and doom”–but rather the opposite of that. As a person who agrees with these sentiments vehemently, I decided to give her the benefit of the doubt and read it–and I am so so glad I did. John and Stella are characters that I related to in so many different ways. John, because I understood on such a deep level the ups and downs he faces as he tries to bring his life back into focus and how he fights on a daily basis to overcome the thoughts and fears in his head; and Stella in the fact that she has so many people who know her but yet don’t know her and the struggles she goes through with knowing that fact. These characters resonated with me in such a way that only a select few romance novels have ever done before. I’m thinking too much, which is never a good thing. Emotion chokes me, clutching my throat and locking down tight. I’m going to be sick. My hand shakes. The next chord is weak, my voice slipping off-key. These characters lives are gripping and challenge you to think about your own relationships and lives. Callihan took her time with this one–and it shows. Callihan also gets some major brownie points for how she handles the topic of STDs. Giving her readers (and characters) a much valuable lesson on these sexually transmitted diseases and the stigma/stereotypes that surround them. 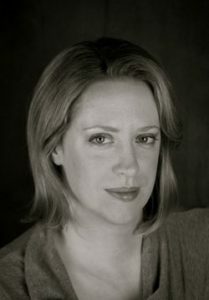 Callihan tackles the subject with sensitivity and accuracy, giving the topic a much-needed reminder to the romance community the seriousness of them and how they change a persons life. From the moment the story began I was instantly captivated by the banter between our main characters, John and Stella. Their witty retorts and quick come backs throughout the entire novel brought another level of intensity to the their chemistry as well as a much-needed comedic relief to much of the heaviness and seriousness revolving around the hardships that these characters face. The dialogue between the main characters as well as the supporting cast had me in stitches on more than one occasion and grinning like a fool in the rest. The chemistry between each character is fully thought out and developed, that it became like I wasn’t even reading a book but interacting with these people as if they were in front of me. I did, however, find the relationship/ sub plot of Stella and her father not entirely fleshed out as I wished it would have been. The scenarios that revolved around her father and the situations that arise from it didn’t feel organic, or rather, didn’t flow naturally as the story progressed. It almost felt like a second thought and was thrown in to add more drama and keep the pace moving, rather than keeping the story moving. With that said, I felt that the pace was steady and consistent throughout the novel and kept me engaged the entire time. Not once did I feel like the story dragged–which typically happens in a slow burn if not done well–and I never felt like thinks were happening too fast to keep up with. This book is a gripping romance that will have you breathless and wanting more. I highly recommend this story to anyone who loves romance. I promise you, you will not regret this.